As I’ve mentioned in these pages before, when it comes to the ‘plotting vs. pantsing‘ debate I fall firmly into the former camp. I wouldn’t dream of starting the first draft of a book without having a well-defined outline of the high level plot, chapters to get from A to Z, and even the scenes that make up those chapters. I just don’t know where I’m going otherwise. 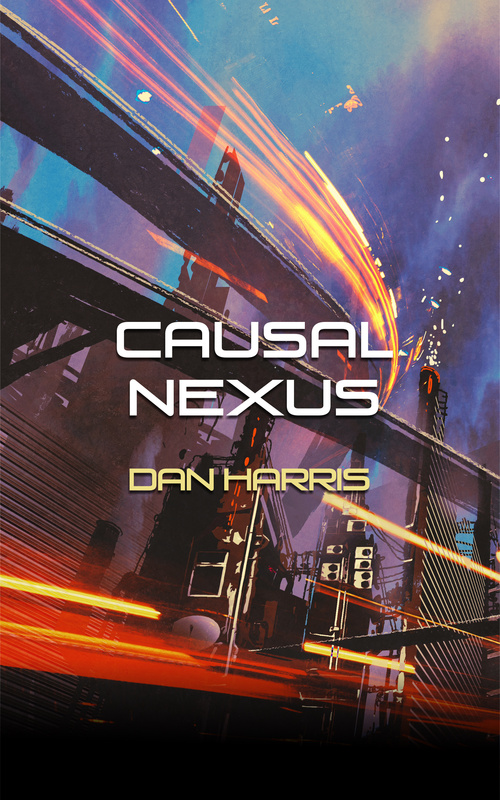 So when it came to starting work on my current WIP–Causal Nexus, which will be the third book in the Unity Sequence–the first thing I did was build that outline. Start to finish, all the characters, all the arcs, all done and ready to draft. I started writing, and the first few chapters came with ease. Then, as I neared the end of part one (of three) I started to slow down. The words weren’t coming so easily, and I found I just wasn’t sitting down to write as much as I should be. For a while I assumed it was just life getting in the way; work being busy, too much other ‘stuff’ that needed doing, etc. But then a couple of weeks ago I went to a work conference, where several colleagues who have read my first two books accosted me–in a friendly way–and demanded to know when the third one was coming out, because they were tired of waiting for it. Which is obviously a very nice thing to hear, and gave me a kick up the backside. The day after I got home I fired up Scrivener and spent an hour poring over what I’d written so far, the character bios, the outline, the– wait, the outline. I realised that what I’d thought was a very well-defined incident at the start of act two, which kicks off the sequence of events that drives the story through to the end of the book, was in fact not very well-defined at all. Was damn near woolly, in fact. Vague. I’m not sure how that happened; I can only assume I was in a rush to get down all the other exciting stuff that happens after that point. But regardless, I rolled up my sleeves and fixed it. Nailed those few scenes down so they made sense, flowed, and tied into other plot points both earlier and later in the story. And what do you know? Now I’m back to full speed again. Seems that my being sub- or unconsciously aware that I didn’t-quite-100-per-cent-totally know where I was going next was making me tentative about getting to that point. Once I did–boom. Away I went. The moral of the story here, my plotter friends, is that if you ever find your writing trundling along at less than your normal place, or worse, stalling entirely, take a good hard look at your outline. It might be a bit more… ‘pantsy’, shall we say, than you thought.